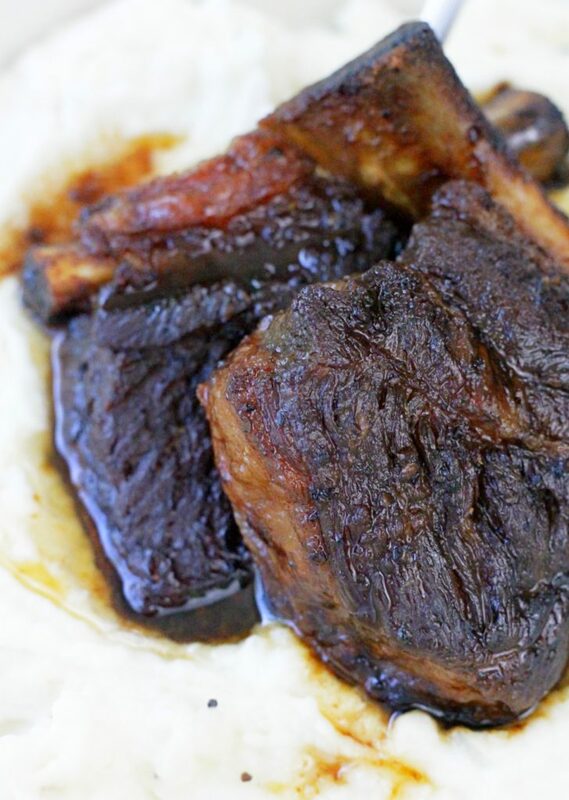 These Slow Cooker Short Ribs are fall off the bone tender, savory hunks of meaty perfection. It’s not very often I get to enjoy a personal cooking lesson from a head chef plus get to take home one of the actual recipes used in a high-end restaurant, but this is one of those times. 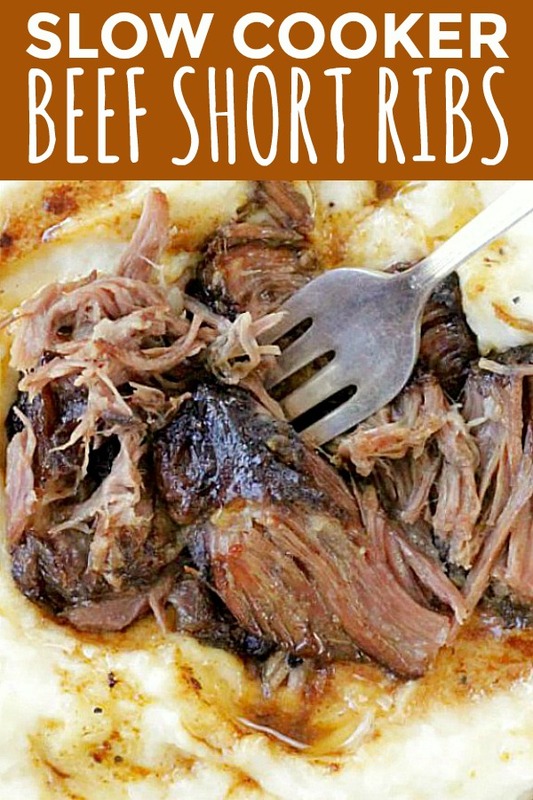 These slow cooker short ribs are perfection! Let me back up. I’ve enjoyed a partnership with the Ohio Beef Council for two years now. 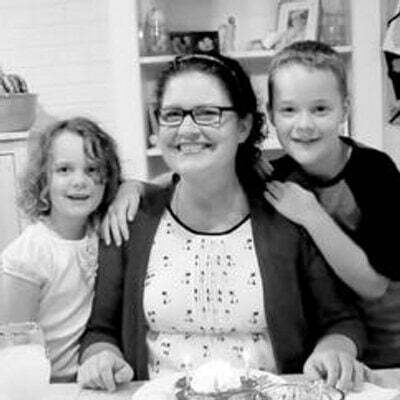 I develop family-friendly recipes for them and they invite me on fun trips to visit Ohio beef farms and eat delicious food and drink amazing cocktails in some of Columbus, Ohio’s finest restaurants (thanks Cameron Mitchell). I personally think I’m getting the better end of the deal. Before I tell you how to create these amazing short ribs in your own kitchen, I want to tell you about cows and the families who raise them. On my most recent trip with some fellow Ohio bloggers I visited two family-run farms. Jim and Dee Jespen own and operate Dusty Rose Farm in Fairfield County, Ohio where they manage 850 acres of crops and 60 beef cows. Their two daughters are recent college grads who plan to work in beef farming as well. 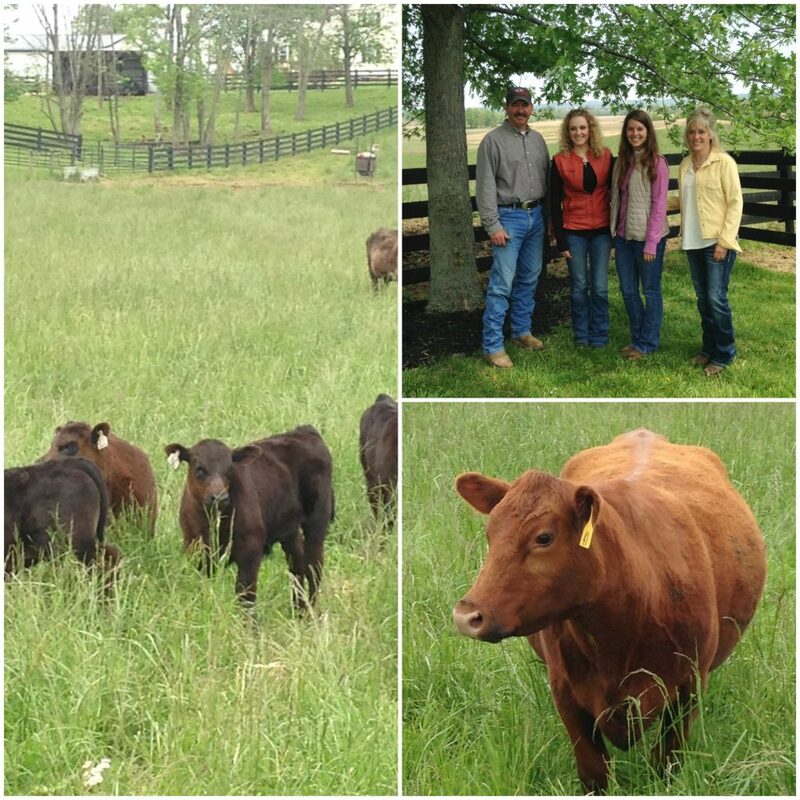 The Jespen’s gave us a field tour and talked about herding the cows to greener pastures as they graze and the trust they build with the families who buy their freezer beef. They work hard and their farm is truly a labor of love. Their income is supplemented by Dee’s position as a professor at The Ohio State University. 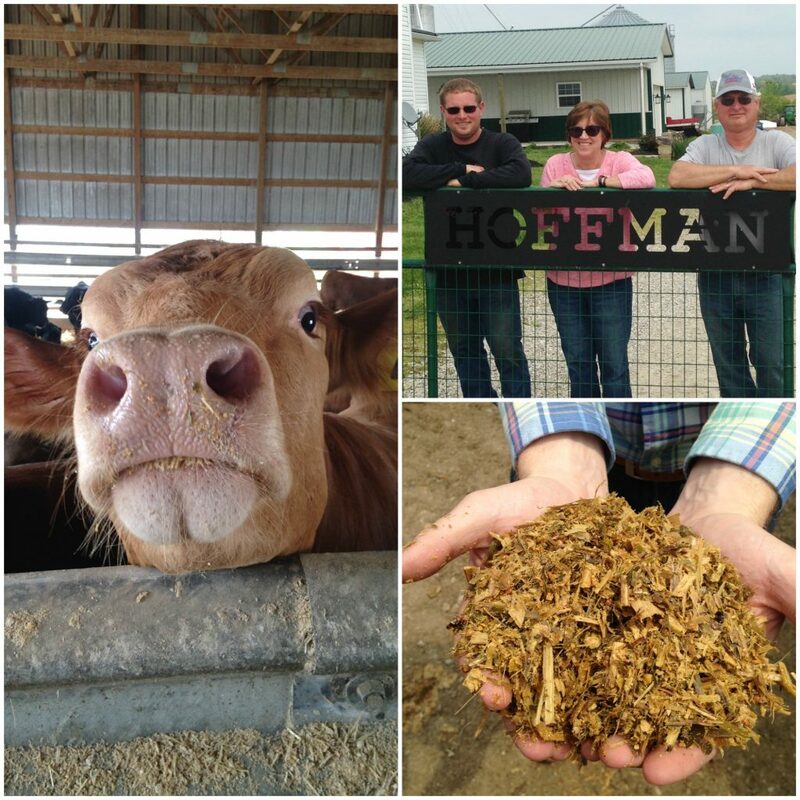 We also visited Hoffman Farms. Christian Hoffman and his father operate their 700-head feedlot together. They grow the typical mix of corn and soybeans on their land to feed their beef cows. They tend to plant two crops per year in the same field. Double cropping allows the family to sell grain, while keeping enough on hand for feed. The Hoffmans also grow barley, wheat and sorghum and experiment with mixes to optimize their cows’ health while at the same time being good stewards of their land. It was fascinating to hear the effort that goes into feeding the cows and learning about silage – which is fermented grain. The various grains are packaged “wet” and ferment so they are soft and sweet – easier for the cows to digest. Both family farms addressed one of the biggest concerns of all farmers which is feeding an ever growing world population. Did you know less that two percent of the population is directly employed in agriculture? That’s a very small amount of people growing a very large amount of food. When you start thinking about all these implications you realize there’s a lot to consider in terms of managing all the pieces of the puzzle – for the health and well being of both people and animals. And I’d say Ohio beef farmers are managing it all very well. 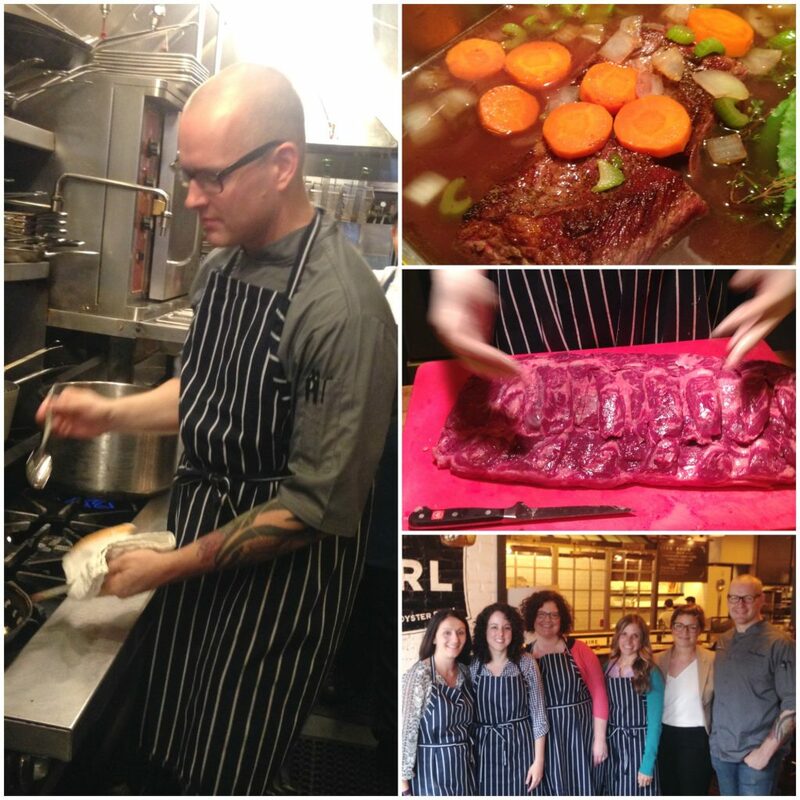 After the farm visits we enjoyed an amazing progressive dinner at three of Cameron Mitchell’s restaurants in downtown Columbus in the Short North – Marcella’s, The Guild House and The Pearl. We were accompanied on our tasting of local beef dishes and the most amazing craft cocktail sampling I’d ever experienced by both Peter Chapman (head regional chef for Cameron Mitchell restaurant group) and Andrea Hoover (beverage operations manager). Of all the dishes we sampled (and learned to cook the next morning) my favorite was the simply rustic yet perfectly prepared short ribs. 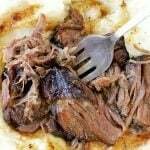 I was provided the official restaurant recipe but I decided to convert it to a slow cooker recipe for home use. Beef is what’s for dinner often in our household. And these short ribs are a simple to prepare dish that taste like fancy restaurant food. I hope you’ll try them! And be assured the next time you are purchasing beef at your grocery store that it was thoughtfully prepared by family farmers dedicated to feeding you nutritious and delicious beef. I use an 8-quart slow cooker similar to this one to cook my short ribs. 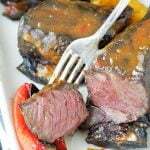 You want to buy English style short ribs for this recipe. Here’s a definition for Mirepoix. This recipe for slow cooker short ribs comes to you directly from an executive chef, adapted for your slow cooker at home. Heat oil in a large, non-stick pan over medium-high heat. Season the short ribs liberally with salt and pepper. Add the short ribs to the pan and brown on both sides. Cook in two batches so as not to crowd the pan. Transfer the browned short ribs to a slow cooker set to LOW heat. Drain the oil but do not wipe the pan clean. You want the browned bits left in for flavor. Return the pan to medium high heat and add the chopped onion, carrot and celery and cook for a couple of minutes. Add the apple and cook for one minute more. Add the wine and orange juice and cook for one minute. Add the tomato paste. Stir well to combine and cook for one minute. Remove the pan from the heat and stir in one half a teaspoon of both salt and pepper to the chicken broth and vegetable mixture. Pour the chicken broth mixture over the browned short ribs in the slow cooker and cover with a lid. Cook on LOW heat for 8 - 10 hours, or until ribs are fork tender. Serve over mashed potatoes. Wow that meat is cooked to perfection, I’m drooling at your photos! I love short ribs! Delicious in any form! Can I add more stock if I don’t have red wine? Happy Thanksgiving! We have a lot of family arriving and needed a welcome dinner meal. this was a true hit!! I slow cooked the ribs low for 8 hours. fall off the bone the house smelled amazing!! I did make a few changes due to not having some items. I didn’t have any apples so i added 1/3 cup of hard cider for the sweet apple taste. No tomato paste but added mushrooms and some potatos and extra carrots and celery to streach the meal out a bit for all of our guests. Thank you! 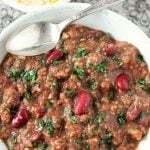 What a hit and so easy to prepare.served over rice. I am so happy to hear this. Thank you for the positive feedback. Happy Thanksgiving! I always feel so intimidated by short ribs, for no real reason, other than lack of experience. Your recipe makes them seem very approachable. Thank you for sharing! It is so so important to know where your meet is coming from. I’ve definitely cut back in recent years and will only buy meat I can trust – this short rib recipe clearly requires the best beef too. It looks epic! Oh these do look super tender. I just want to pull them apart and put them on tacos. Yum. Ribs are one of my favourite meals and these look absolutely divine. Looks like you had a fun trip to the farm, too! Sounds like an amazing flavour combination with the apple, wine and orange! Fascinating to learn about where our meat comes from. Today is Sunday, Super Bowl Sunday!! Go Eagles!! This recipe sounds incredibly easy and delicious!!! I would like to prep this meal today to actually cook on Tuesday. Is it ok to brown the meat and combine all ingredients Put into refrigerator and wait til Tuesday to plug in that morning? I have not tried it that way myself but I think that should work out just fine. Sunday to Tuesday morning presumably is less than 48 hours so there should not be any food safety concerns. I’m rooting for the Eagles today too! Just to Let you know this dish was incredible!! Thank you!!! Fly Eagles!!! So happy!! YAY! For short ribs and the Eagles winning. Thanks for the update! Can you do the same recipe in the Dutch oven and if you can what should oven temperature and cook time be and should I trim any fat? Do not trim fat. Yes you can cook this in a Dutch oven. After browning bake in a 300 degree F oven for about 3 hours. 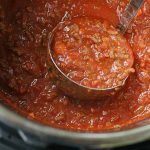 What oven temp and time if using a Dutch oven?? I haven’t tried them in a Dutch oven yet myself, but the approximate conversion is to bake them (after browning) in a 300 degree F oven for about 3 hours. Picked up some short ribs that were on sale and had no idea what to do with them. 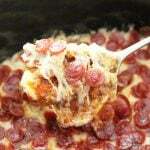 I came across this recipe and they are in the slow cooker now! These were so easy to prepare and it smells SO good 🙂 Can’t wait to see how they turn out! I hope they tasted as good as they smelled. Thank you for the positive comment! Loved the flavor of this recipe! Thank you for sharing! Was wondering though how thick was the short ribs used in this recipe? Our meat turned out a bit dry. Slow cooked it for 8 hours. Any thoughts??? The ones I was able to purchase (already cut and packaged at my local Meijer store) where very thick. Probably 3 inches? I’m really sorry yours turned out dry. With slow cooking, because it adds moisture as it cooks, I tend not to advise on times for thickness. I will remember this with my next recipe. Any idea how many pounds of meat you used? That might help clarify the thickness issue noted above. Good question. I’ll check the next time I’m at the store to be sure, but usually I buy the prepackaged short ribs which are sold four in a pack. I believe each package of four is between 1 1/2 – 2 pounds. So for eight short ribs that would be 3 – 4 pounds. I will follow up after I check some packages to see the average weight on my next trip to the grocery! These ribs look perfect! I love that you use your slow cooker! They look so tasty that I want to make them asap! These ribs look so dang good and the photos are making my mouth water. They look like they are about ready to fall off the bone and on that plate of mashed taters… ohhhh man. Thank you for sharing! I have never made ribs in a slow cooker. But, that is going to change soon! These look awesome! You really need to try these! Yes, yes, and yes! There is nothing better than cooking ribs in a slow cooker when you cannot put them on the grill. 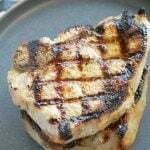 I love when the meat is so tender it falls off the bone! Great recipe. 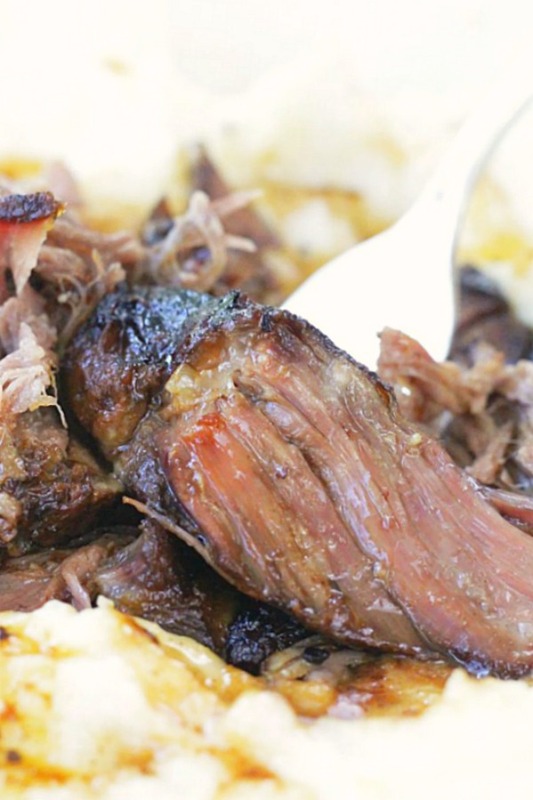 I am a short rib addict – definitely making this one!!!! 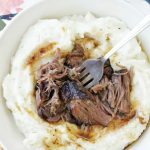 I love short ribs, and this slow cooker recipe looks perfect for busy weeknights! It is. So nice to have a restaurant-quality dish at home – even when it’s a busy weeknight! Thanks Lynn. Come back and let me know what you think! This is the BEST – hands down – recipe that I have ever made. Once I made this – I never looked back. Actually all of her recipes are amazing. I reference her all the time and head to her site for most recipe needs! 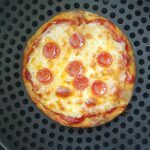 Thank you FoodTasticMom.com for all your hard work! We love it all! This recipe is a must-have! 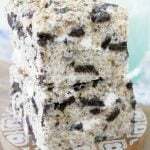 The flavor is luscious and it is so easy to make. 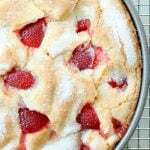 If you make this once you will make it a dozen times! I’m so glad you enjoy this recipe Cambell. Short ribs are the best! This looks amazing! I love the message of this blog! Would you mind if I shared it on our farm page? My family runs a small Ohio beef farm also and I would love to post this on our Facebook page if it is okay with you. YES! I welcome the shares. Thanks so much for asking Alyson! I need to try these! I’ve never made ribs before, and think throwing them in the slow cooker would be a great intro into making ribs, it seems foolproof! Yes, this is just the recipe you need to start with. Enjoy! This sounds SO good! Love short ribs, they’re one of my favorite cuts. And you’re so right, we need more family farms to feed all these people. So glad you agree! Thank you Eden! I love how slow cooker makes meat so tender. This is a great recipe. I will be making it soon. Happy to hear this. Thank you! This makes me hungry! 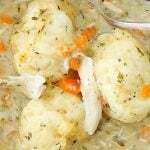 What a great comfort food for a cold weather. I bet these would be a great filling in tacos. I love this idea – as a filling for tacos! I made this yesterday and it was good. I agree with some others that it could use more flavor particularly beef flavor. After I took the short ribs out of slow cooker I blended the veggies and broth to make a gravy and thickened it by making a roux first. 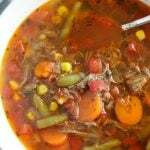 I think if you used beef stock rather than chicken stock it would be better. I would make again but maybe play around with the gravy a bit. Thanks for an easy dinner! I appreciate your suggestions Susan. Everyone’s palates and tastes are different. To add more beef flavor, I personally like Beef Consommé (it’s a 10 oz can in the Campbell’s soup section of the store) instead of beef broth. Do you use boneless short ribs or bone-in? Bone in, English cut short ribs. wow, talk about farm to table! Yes – the best way to eat! What a great pot! The farm visits sound really fun. So interesting to hear what you learned. Can’t wait to make this recipe. Farm visits are one of my favorite job perks 🙂 Come back and let us know what you think once you try the short ribs! The short ribs look so fall off the bone fabulous! Yes they are. Thanks Andrea! I keep seeing recipes for short ribs, and I cannot wait to try this one! 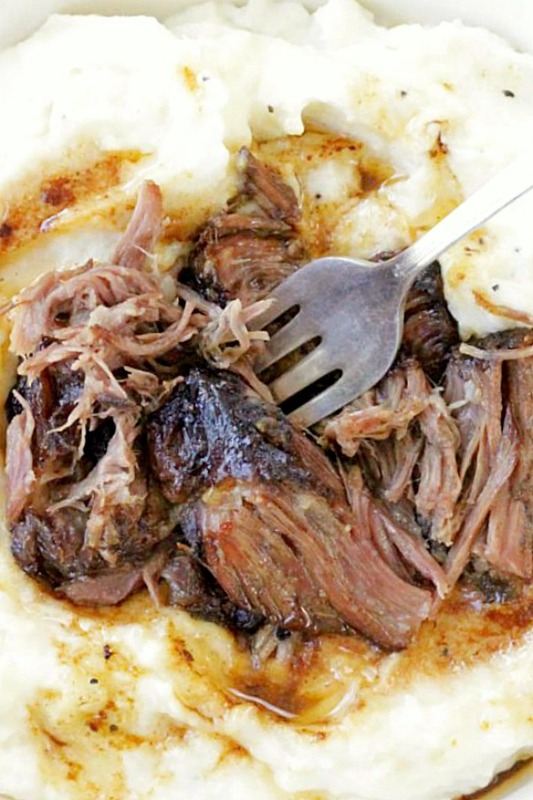 It looks amazing, and anything in a slow cooker is a hero in my house on school nights! Agree. I can’t live without my slow cooker, especially during the school year. Thank you Katie! I loved reading this post and seeing the pictures of the cows, they are such cool animals. The recipe looks fabulous, I want to run out and get the ingredients right away, yum thanks for sharing! I’m so glad you enjoyed my story. Cows are definitely cool animals 🙂 I hope you try the short ribs! The fluffy potatoes are a MUST. Thank you Catherine! Yes. I would just leave them in the slow cooker insert to refrigerate it. Then pop the insert back into the slow cooker and reheat it that way. Made this tonight. I did not use a crockpot but instead baked in the oven for 4 1/2 hrs @ 250 degrees. Meat fell of the bone. It was DELISH! Thank you for sharing. So fantastic to hear. And especially that the short ribs turned out equally delicious in the oven. Thanks very much for commenting! 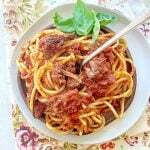 Can you do this in an instant pot. I think you can. But I’m not sure on the timing since I haven’t done it myself.